Elon Musk’s SpaceX has a passenger for the first private trip around the moon on its Big Falcon Rocket. But it’s cloaking the news in a bit of mystery for a few days. The rocket company, founded by Elon Musk, will reveal the Big Falcon Rocket passenger's identity on Monday. SpaceX set up a livestream for the announcement, which is scheduled for 6 p.m. PT (9 p.m. ET / 2 a.m. Tuesday GMT / 11 a.m. Tuesday AEST). “SpaceX has signed the world's first private passenger to fly around the Moon aboard our BFR launch vehicle—an important step toward enabling access for everyday people who dream of traveling to space. Find out who's flying and why on Monday, September 17,” the company tweeted Thursday. 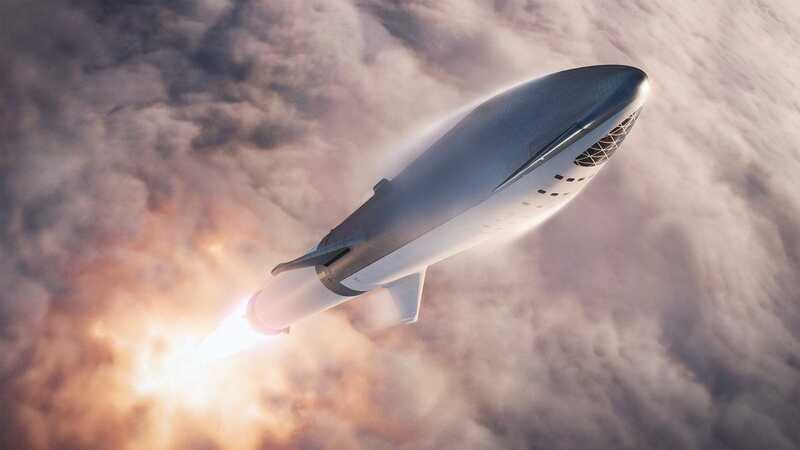 After people responded with questions, Musk weighed in and confirmed that the render of the Big Falcon Rocket, which is still in development, is new and "intentionally" designed to resemble one seen in a classic Tintin comic. When asked if he himself is the passenger, he hinted that the mystery person is Japanese by tweeting the country's flag. For all the rocket trips into space in recent decades, no human has traveled into lunar orbit (let alone onto the surface of the moon) since NASA's Apollo missions ended in 1972. SpaceX has established its bona fides in the aerospace business by transporting supplies to the International Space Station and by completing the tricky maneuver of recovering rockets after launch so that they can be reused. But, along with companies like Virgin Galactic and Stratolaunch, it's also blazing a trail toward a new era of commercial spaceflight and its ambitions extend even farther. Musk has designs on sending spacecraft to Mars and establishing a colony there. As for the moon, Musk had hoped to send tourists there later this year, but the date has been delayed, The Wall Street Journal reported in June.